Tech Byte 4 U|Gamil:Forget to sign out of a public computer?Sign out remotely. 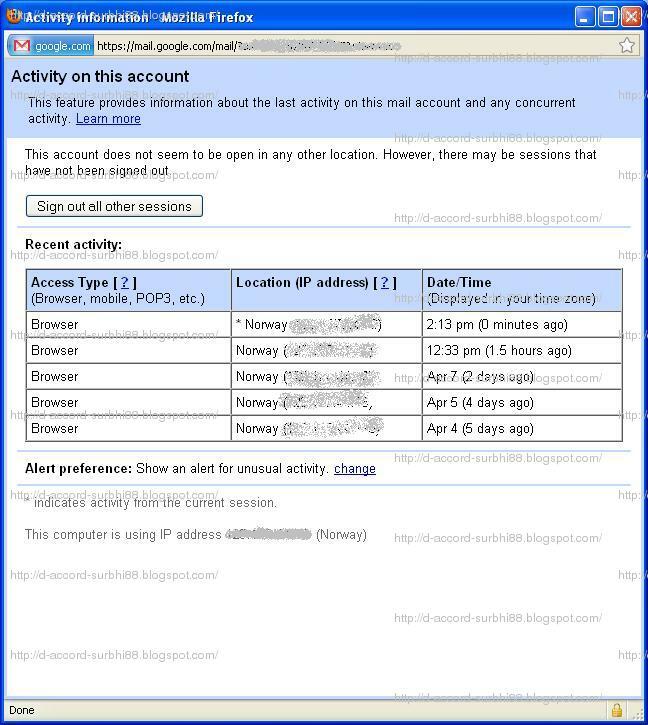 It could be see easily that many times people forget to sign out their account or by default choose the option to save their passwords on a public Computer, and left a option for another to easily login from thier accounts, hack their account and many more. But Using Gamil you can easily know that is there any one who know your passwords and login from your account and if you find any suspecious activity then you can remotely sigh out your account from any other location. Here in very bottom of your gmail account you will see something like this> Shown with red in this image. 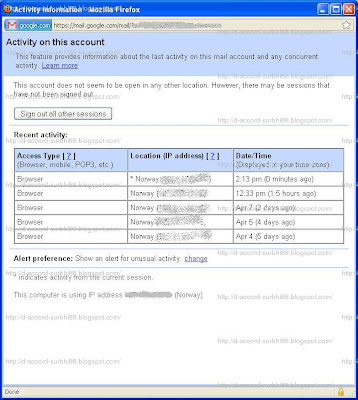 If you find any concurrent suspecious activity then press button "Sign out all other sessions." This will sign out your account on any remote computer. After that you should change your password also to make sure your account safety for the cases that you have saved your passwords on public computer or any one else know your password.